Download the Course Map as a PDF. NB: There is NO BOAT storage at the west end of the Boathouses, ONLY EAST End. Please consult the Security and Parking document. 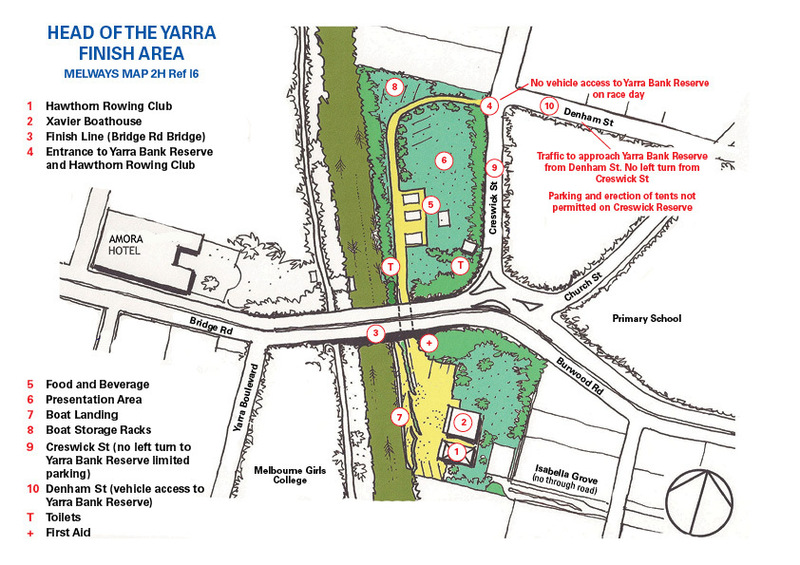 Please also note that when returning to the City AFTER the race has finished you need to travel downstream of the Princess Bridge, 9, and then turn and approach the Boathouses Staging from the west or downstream. DO NOT turn in front of the Boathouses Staging. 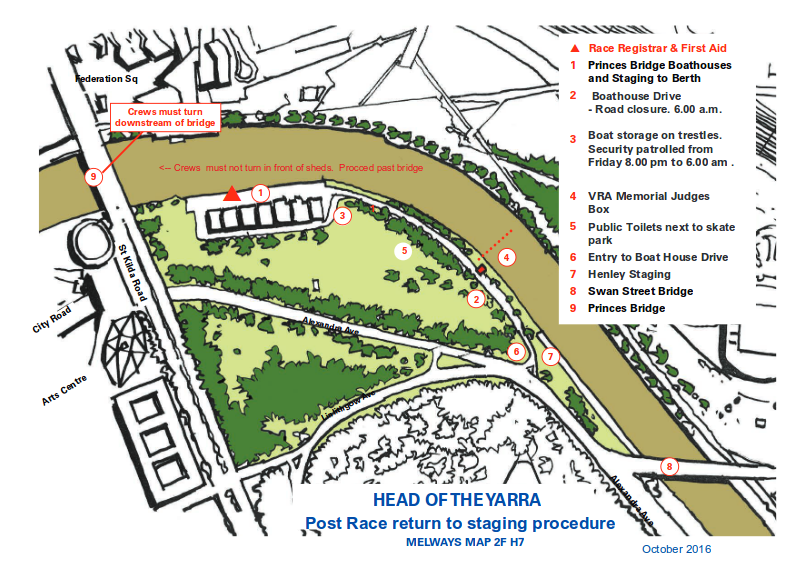 Download the Start Area (Prior to Race Start) map as a PDF. 3.4 EXCLUSIVE USE AND SPECIAL PURPOSE AREAS FOR THE PURPOSES OF CLAUSE 13. - ONE SHORT BLAST TO MEAN "I AM ALTERING MY COURSE TO STARBOARD"
- TWO SHORT BLASTS TO MEAN "I AM ALTERING MY COURSE TO PORT"
-THREE SHORT BLASTS TO MEAN "I AM OPERATING ASTERN"
-FIVE SHORT BLASTS TO MEAN "I AM CONCERNED OF COLLISION"
Download the Finish Area map as a PDF.